A back-to-school event on Chicago's West Side attracted a big crowd Saturday. CHICAGO (WLS) -- A back-to-school event on Chicago's West Side attracted a big crowd Saturday. 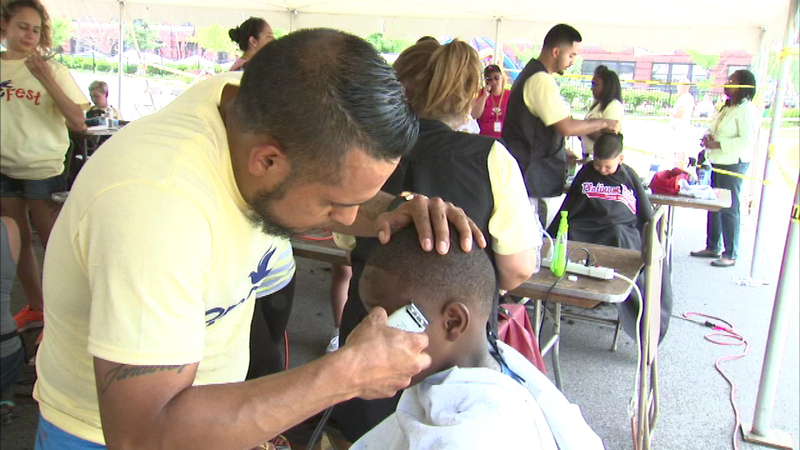 More than 5,000 children were given school supplies, haircuts, immunizations and dental exams and it was all free. "Hope Fest 2015" took place at New Life Covenant Church on West Division in the city's Washington Park neighborhood, and was sponsored by Hand of Hope Ministries. There was also plenty of family-friendly entertainment.